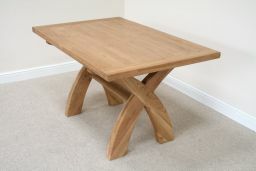 Country Oak 140cm cross legged dining table design. - Top seller. 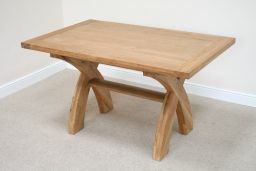 A great value cross leg oak table that can easily seat a family of 6 people. 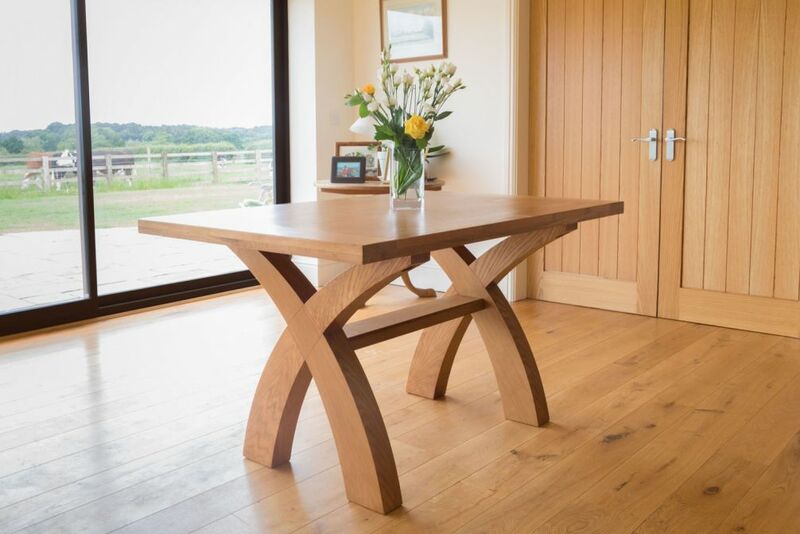 The stunning curved legs on the table make them a focal point of the design which adds to its appeal. The Country oak dining furniture range is made exclusively for Top Furniture by skilled joiners so you wont find this table on other websites. 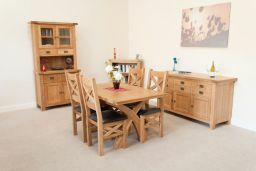 The matching Windermere, Grasmere & Dorchester solid oak dining chairs make a great combination with this table. Year round low internet prices. Made from premium grade American oak sourced from sustainable managed forests. Great quality. Just what we were after. 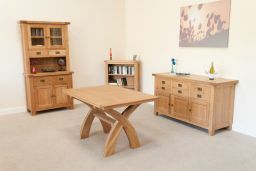 Brilliant service from Top Furniture. Beautiful design and good quality make. Looks stunning in our dinning room. Very pleased with the table and benches it is good quality and just what I wanted fits perfectly in my lounge dining area. The service from seller was very good. 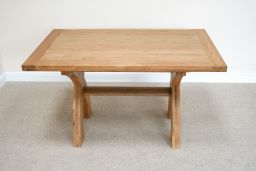 I am very happy with my purchase, the table is well made and a perfect size.for my dinning room. I was very impressed with the items I saw on their website, but decided that the prices were surely too good to be true! Visited the store in Uttoxeter to inspect the items first hand and to try out the comfort of the dining chairs. The staff at the Uttoxeter store were helpful and informative and not at all pushy. Although we were the only customers (Friday midday) they allowed us space to have a good look around. 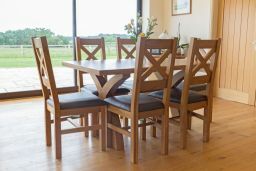 When it came to ordering, I could hardly believe it when they said they could arrange delivery to us in Reading within two weeks, but sure enough we took delivery of the table and chairs yesterday. Everything was packaged well, the delivery chaps were helpful. 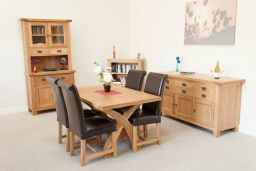 The furniture is heavy, very solid and is of excellent quality. 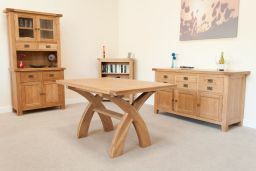 We have been impressed with Top Furniture every single step of the way. Quality furniture at a decent price!! Looks and feels expensive and when put together is solid !! 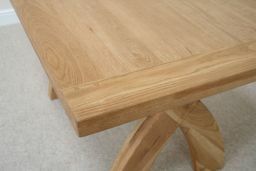 Lovely solid table, exactly as expected. Would use this company again, excellent service. Very happy with my table and chairs, just as described and very solid. Delivery was arranged and carried out promptly via two friendly delivery men. Everything was extremely well packed and even though the outer carton holding the table top had been damaged in transit the table itself was unscathed. Pros : 1. Solid well built 2. Very easy to assemble (Table has just 8 nuts !!) 3. Good for small kitchen as well- ours is 12 Sq mts (but use with a bench) Cons: 1. Heavy ! !